USAA is a member-owned financial services group with millions of members worldwide. The company produced three quarterly magazines geared toward young members. Rachel Bell helped develop content as an independent contractor for all three magazines. She edited and proofread copy and layouts, and interviewed contacts for radio podcast material and key quotes. And, when USAA’s public relations agency of record needed help on-site, USAA recommended her for the project. UMag was for USAA’s youngest members. Geared toward small children, UMag put an approachable and fun twist on serious issues like finances and responsibilities. UTurn was produced for USAA’s teen members. It featured stories about life events like learning to drive and first jobs. UTurn also highlighted accomplishments from members with inspiring examples to share. 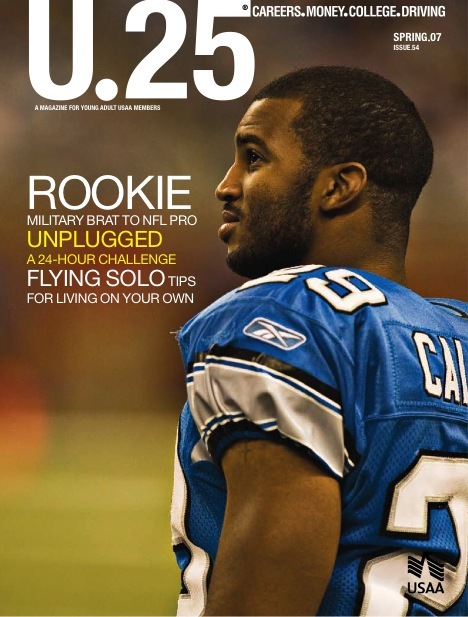 U25 was USAA’s quarterly magazine for its youngest members, ages 18-25. Features included helpful information that would be of interest to that audience and relevant to USAA’s mission. Topics ranged from tips for renting apartments, navigating job interviews and saving money. Think of us like a seamless extension of your in-house team. We value our clients. That means you get turnkey services, great efficiency, direct access and high priority (without layers of overhead or unseasoned interns doing your work). The RVB Group, LLC is a certified Historically Underutilized Business (HUB) with distinctions from the South Central Texas Regional Certification Agency for: ESBE, HABE, MBE, SBE and WBE. We also belong to the Coalition for Veteran-Owned Businesses. Here’s a brief description of our capabilities.